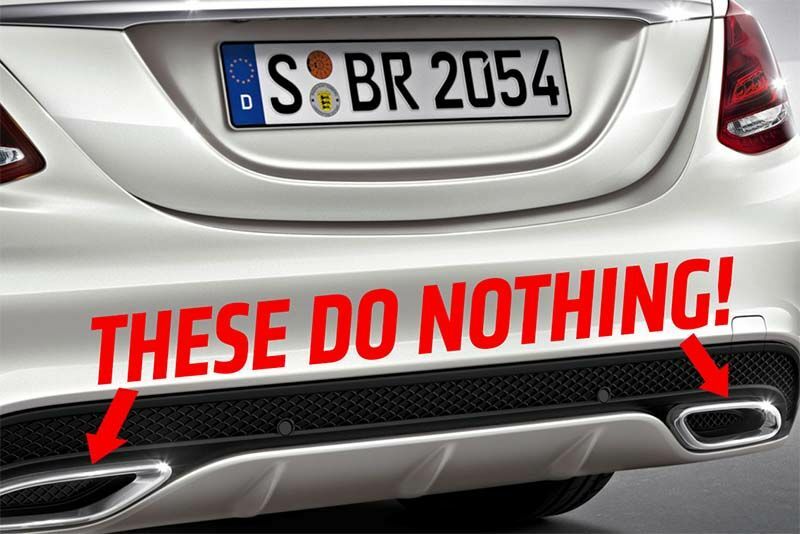 As vehicles evolve because humanity discovers new ways of doing things, car manufacturers are always keen to try to stay ahead of the curve – which doesn't always sit nicely with everyone. In this video, YouTube channel, 'savagegeese', lists the worst trends in the automotive world. Well, according to him at least. Some of what you'll see below is a bit of comedic satire but it's a great topic in general because there's always something that's going to annoy the crap out of you. For instance, pumping fake engine noise into the cabin. If you want your Ferrari to sound like a Ferrari, then there must be a better way to achieve this than blasting bogus sound effects through the B&O sound system. The list is pretty broad, from overcomplicated infotainment to the pitfalls of oversized wheels. The easy-to-smudge glossy piano black trim or that reflect-the-sun-in-your-eyes chromed plastic that is usually overdone, and my personal favourite, fake vents and exhaust tips. I know they're there for aesthetics rather than function, but what's the point? Check out the video below and then find us on Facebook and tell us what drives you mad. Video: 7 Car Trends We Will Mock In 10 Years!